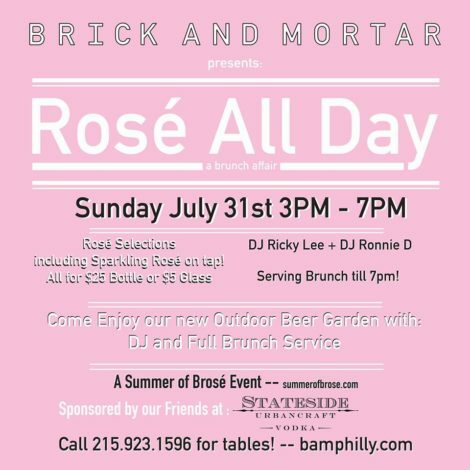 The last two months Brick and Mortar has been hosting rosé all day parties with brunch and $5 glasses of rosé. This month they’re teaming with us, Summer of Brosé to kickoff their first ever outdoor/indoor Rosé All Day event. The party goes from 3 pm to 7 pm with DJs, a full brunch menu and most importantly $5 glasses of rosé, $25 bottles and $5 sparkling rosé on tap.